Shellac has many advantages as a finish. It is non-toxic, dries quickly (provided the product is fresh when applied), can be tinted and is relatively easy to apply. There are also disadvantages. Shellac finishes scratch easily, and shellac isn't the most water-resistant of finishes. When shellac finishes get wet, they develop unsightly white rings. 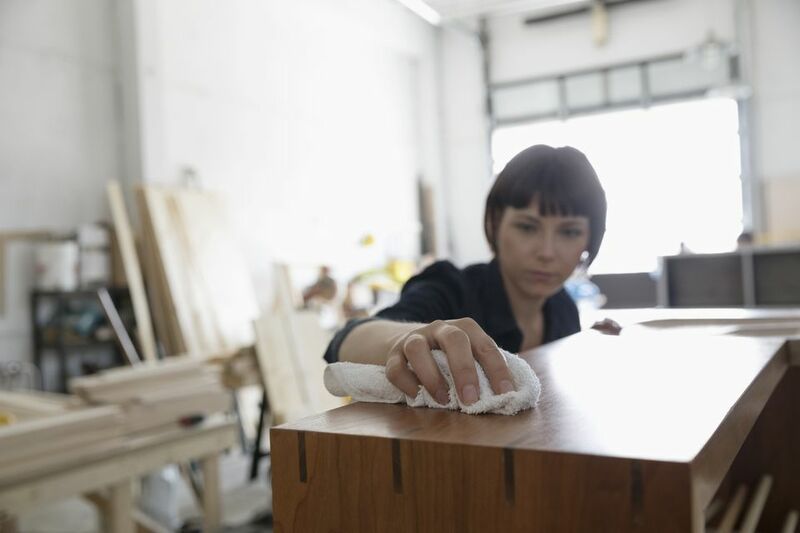 Identifying a shellac finish can be difficult, however, and if you repair a non-shellac surface by laying shellac over the top of the finish, it will not produce good results. Many other finishes resemble shellac, and to further add to the confusion, "shellac" is sometimes used as a generic term referring to any clear top finish. To identify a true shellac finish, sprinkle a few drops of denatured alcohol on the finish in some hidden location. If the finish softens slightly, then you have a true shellac finish, and it can be repaired as follows. If it does not soften when exposed to denatured alcohol, then your finish may be lacquer or polyurethane. Fortunately, shellac finishes are easy to repair. Shellac is basically a mixture of natural shellac flakes (derived from an insect secretion) and alcohol, and applying additional coats of shellac to a previously shellac-finished project will cause the existing shellac to dissolve somewhat, allowing scratches and other imperfections to be repaired by simply adding a new coat. Correcting water damage is a different story. The damaged shellac finish needs to be dissolved with denatured alcohol. The denatured alcohol dries quickly, allowing new coats of fresh shellac to be added. If the previous finish was colored shellac, a bit of trial and error may be necessary with the new finish to match the color properly. Cleaning up shellac on your brushes and tools is also a simple procedure. Shellac dissolves in alkaline solutions; it cleans up very easily in ammonia.